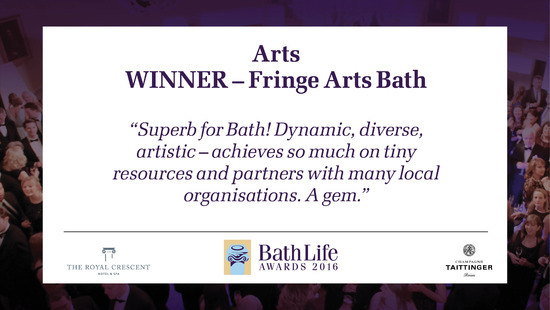 Wow, we are honoured and excited to announce that FaB won the 2016 Arts Bath Life Award. This is an amazing symbol of appreciation for what we do, a high five to every Artist, Volunteer, Committee Member, our thousands of visitors, and all the effort and passion that's been poured into FaB over the last 10 years (and the 15+ years before that which built FaB's foundations under various other names). We received a dozen amazing statements of support from people around us, which have been really touching.